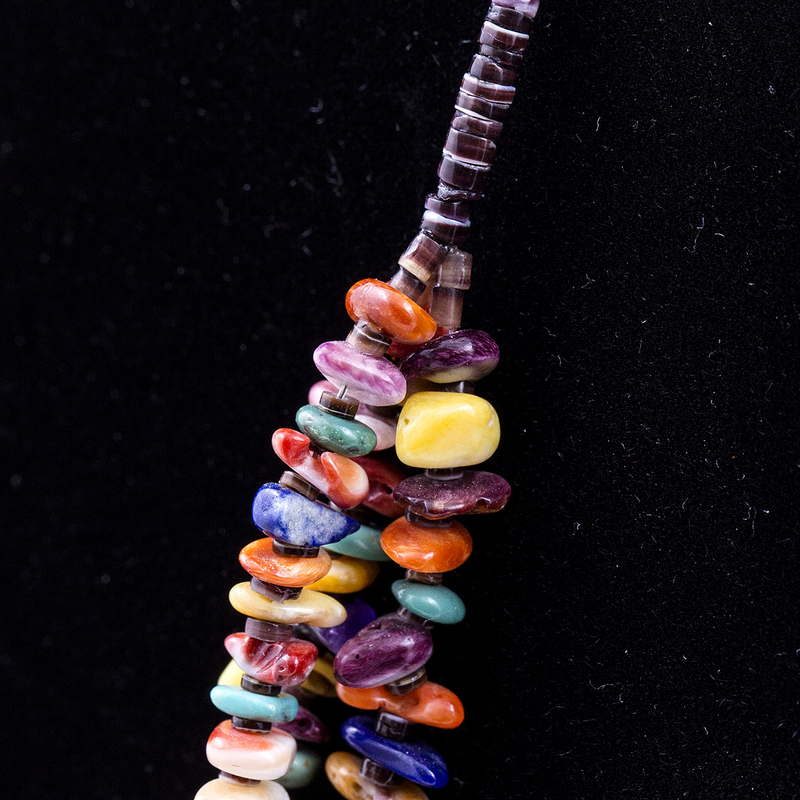 Exuding a lively display of color, this handcrafted 3 strand Heishi, Penshell, and multi-stone necklace shows the vivid shades of the Southwest. Warm tones comes together with Turquoise, Spiny Oyster, and a touch of Lapis to create a one of a kind piece by Navajo artist Marcella Teller! 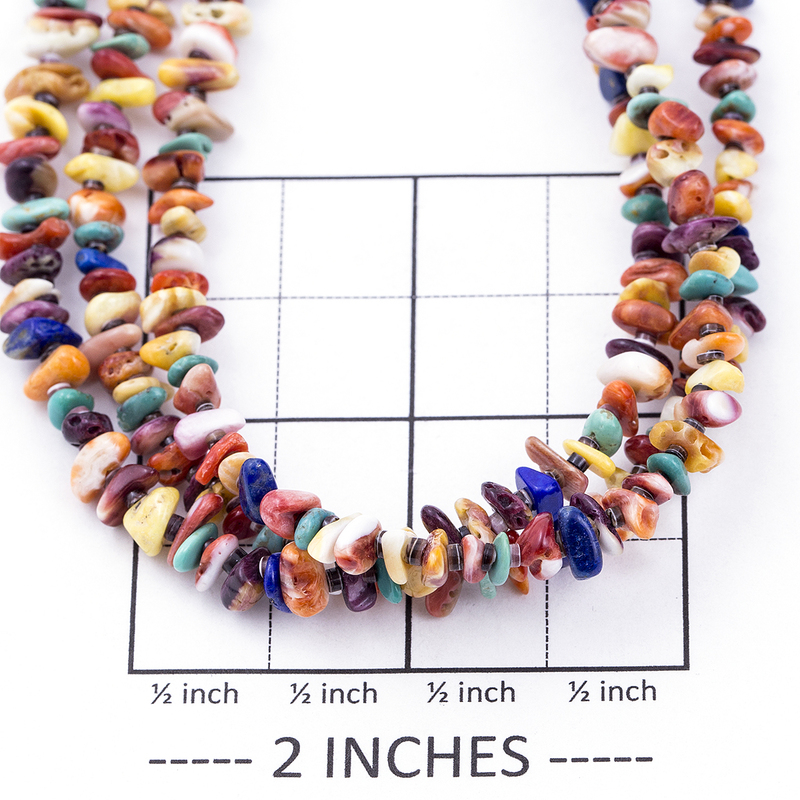 Necklace measures 25″ end to end, and weighs 47.6 grams. Sterling silver hook and eye closure. 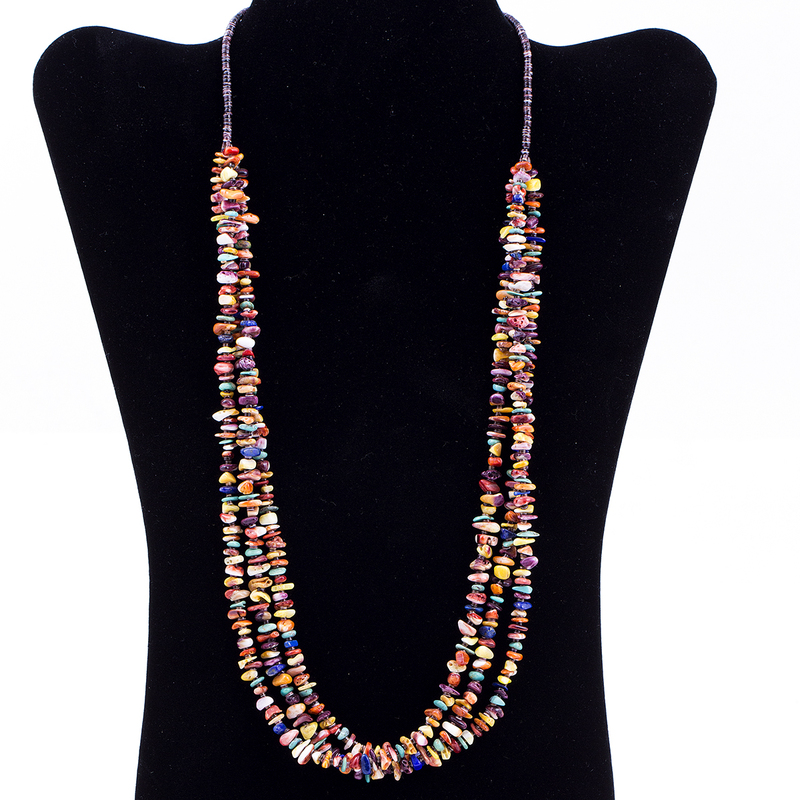 Multi stone 3 Strand Penshell Necklace blasts color, featuring Spiny Oyster, Lapis, and Turquoise. 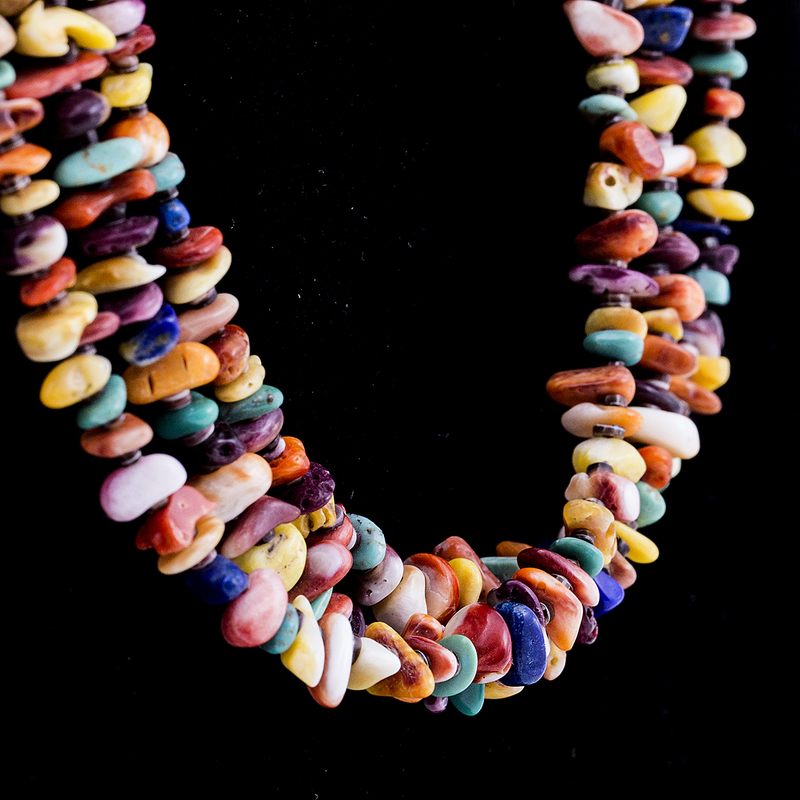 Traditionally handcrafted Navajo Marcella Teller.